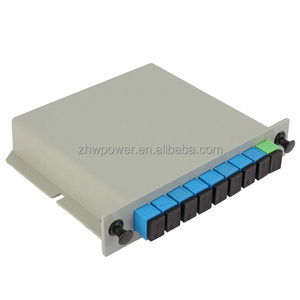 Shanghai Robay International Co., Ltd.
1x4 LGX Box Cassette Card Inserting PLC Splitter Module 1x4 LGX Box Cassette Card Inserting PLC Splitter Module is a type of optical power management device that is fabricated using silica optical waveguide technology to distribute optical signals from Central Office (CO) to multiple premise locations. Excellent Environmental Stability. 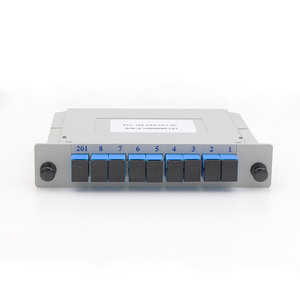 Excellent Mechanical Stability. 5. Q1. 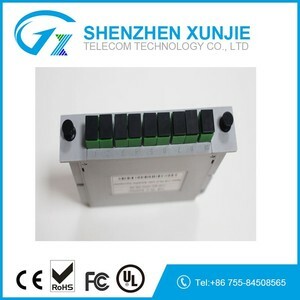 Can I have a sample order for this product9 A: Yes, we welcome sample order to test and check quality. Q2. 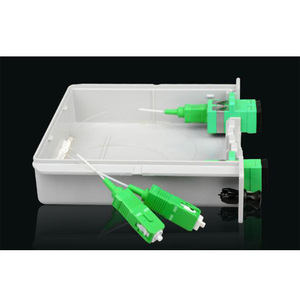 What about the lead time9 A: Sample needs 1-2 days , mass production time needs 1-2 weeks Q 3 . 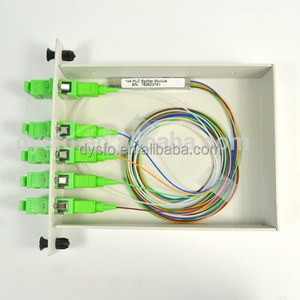 We are the prefessional supplier that you can trust. 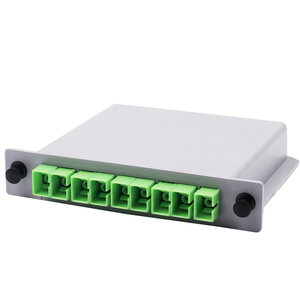 Shenzhen BLH Communication Co., Ltd.
Shenzhen Vision Optoelectronic Co., Ltd.
Zhengzhou Weunion Communication Technology Co., Ltd.
Shenzhen Usource Technology Co., Ltd.
Shanghai Seako Communication Co., Ltd.
Alibaba.com offers 331 plc splitter lgx module products. such as free samples. 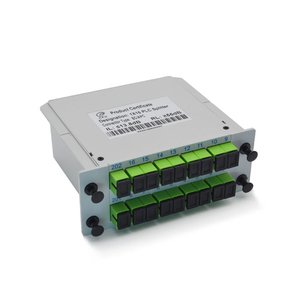 There are 331 plc splitter lgx module suppliers, mainly located in Asia. 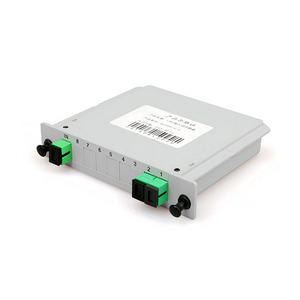 The top supplying country is China (Mainland), which supply 100% of plc splitter lgx module respectively. 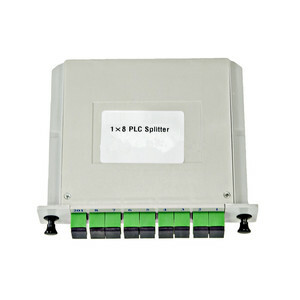 Plc splitter lgx module products are most popular in North America, South America, and Eastern Europe. 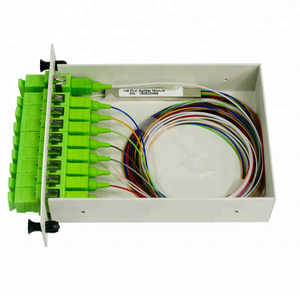 You can ensure product safety by selecting from certified suppliers, including 98 with Other, 98 with ISO9001, and 2 with OHSAS18001 certification.